Girls´ equal access to education is an ongoing issue in Tanzania, especially among marginalised communities such as the Maasai. Positive changes are being made; our Overseas Programme Coordinator, David Baines, talks from the field about one education project we are running in Northern Tanzania. Pre Form One is a nationally recognised class which allows children who have passed their primary school examinations (Standard 7) to prepare for their first year of secondary school (Form 1). The transition is daunting as Primary school is taught in Swahili (already the second language of most Maasai children) whilst secondary school is taught in English. African Initiatives, with funding from Comic Relief, are supporting PWC to run a Pre Form One class in Emanyatta secondary school in Northern Ngorongoro District. The school is extremely isolated and has wild elephants and other animals walking all around it. The Pre Form One class is for 100 Maasai children, mostly girls, and provides extra classes for 3 months (October, November, December) in Ki-Swahili, English and Maths. The children are also taught about health issues, including HIV/AIDS, and about their rights as children to an education. 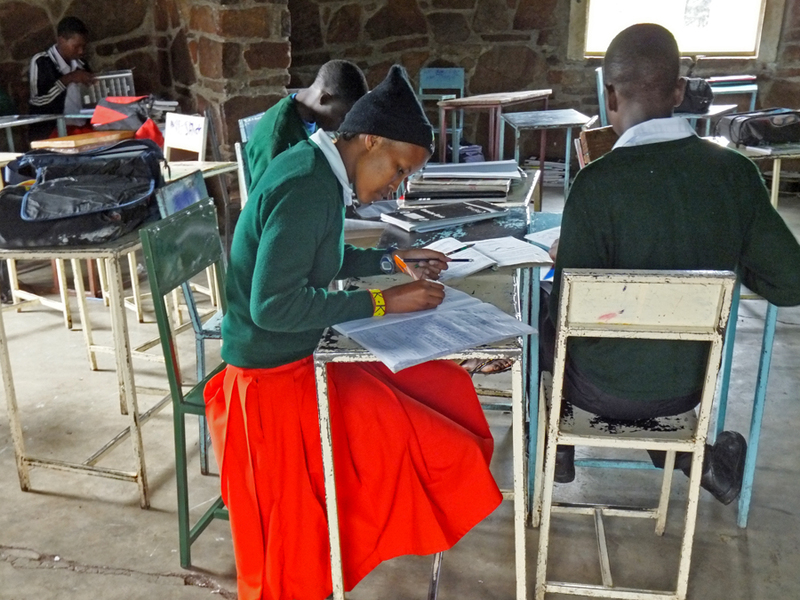 Pre Form One is a residential class, as the distances between Maasai villages is immense. Many of the children come from the NCA (Ngorongoro Conservation Area) which is 200km away to the South. The class also removes girls from the risk of Early and Forced marriage and FGM, both frequently suffered by young Maasai girls of this age. The project will last 5 years, and also looks to sensitise Maasai communities about the importance of education for all children, including girls, with the aim of getting more Maasai families to invest in their children’s secondary education. All secondary education is fee paying – only primary education is free in Tanzania. In the long term African Initiatives and PWC would like to see equal opportunities for all children, girls and boys, to access quality education in a safe and secure environment. The Pre Form One class is a step towards this goal.